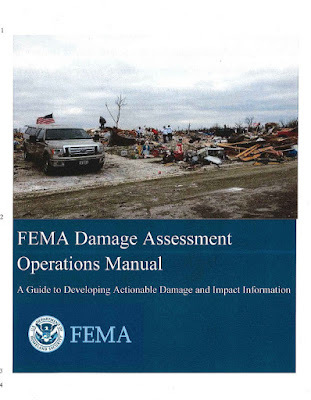 The U.S. Department of Homeland Security’s Federal Emergency Management Agency (FEMA) is seeking comments from state, local, tribal, and territorial emergency management practitioners on the draft FEMA Damage Assessment Operating Manual. The manual establishes national damage assessment standards developed from historic lessons learned and best-practices already in use by state, local, tribal and federal emergency management agencies. The manual is built using a framework that encourages local information collection, state or tribal verification, and federal validation. Previous versions of such manuals have focused exclusively on the federal role. This document better highlights and provides guidance to state, local, and tribal governments on their role in the assessment. The draft manual is posted here. 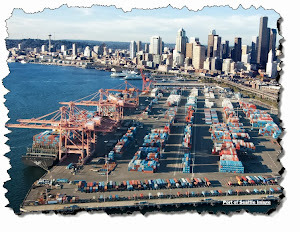 Comments should be added to the comment matrix, and submitted by Nov. 14, 2015. Overall the document is a useful starting place; however, it does appear to have some gaps in chapter content, formatting, etc. But, then again, the document is out for review and comment. This could be a useful tool for the student of Disaster Assessment and Recovery due to the checklists and discussions about the more contemporary use of GIS and cellphones for data gathering. You are encouraged to take time and at least page through this document and offer your thoughts, ideas and feedback. Perhaps someday you will be using this manual for your own disaster assessments.